Refreshing and fun to make! 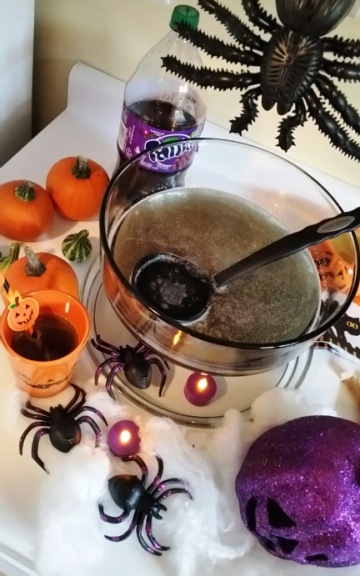 Watch this Halloween Purple Pumpkin Eater Punch bubble up like a creepy boiling cauldron! Create this delicious punch with Fanta® Grape Soda, Lemon-Lime Soda, lemonade and jello powder. It will be a hit at your next Halloween party! One of my favorite holidays is right around the corner! I love Halloween. I love dressing up, handing out candy, and having a Halloween get together with friends and family. 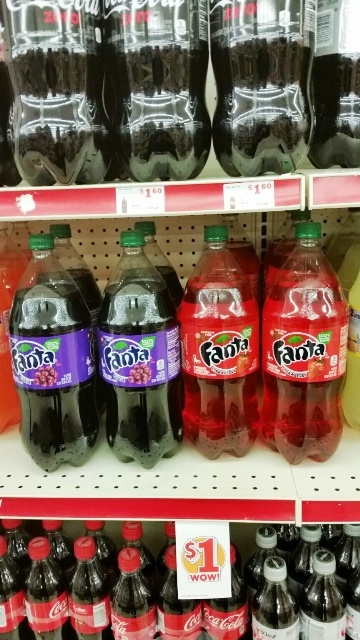 I like being able to run into my local Family Dollar Store to grab some Fanta Soda this Halloween season! 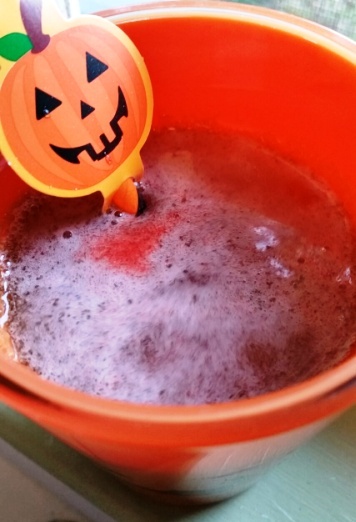 My favorite part about Halloween is creating delicious treats and drinks. Fanta comes in 8 FUN flavors – Orange, Grape, Strawberry, Pineapple, Grapefruit, Apple, Peach, and Cherry. 100% natural soft drink inspired by real fruit flavors. 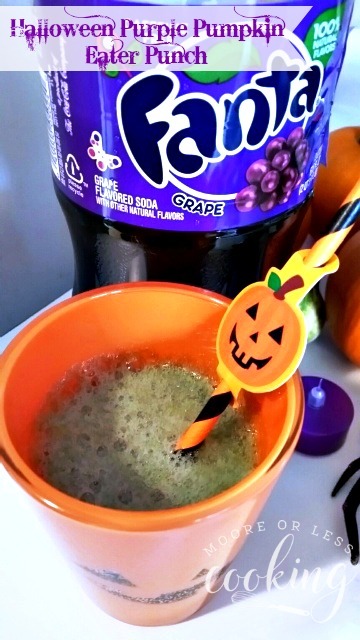 I chose Grape Fanta to make this bubbly punch! 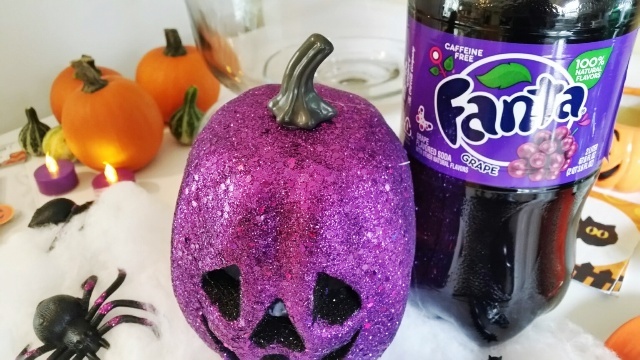 Look for the one-stop Fanta Halloween display at Family Dollar. Halloween packaging designed by “Noma Bar”. Save $1 when you buy (1) Fanta 12-pack 12oz cans AND (1) Red Baron pizza 12oz or larger, with digital Smart coupon at Family Dollar (10/24/16 – 10/31/16). 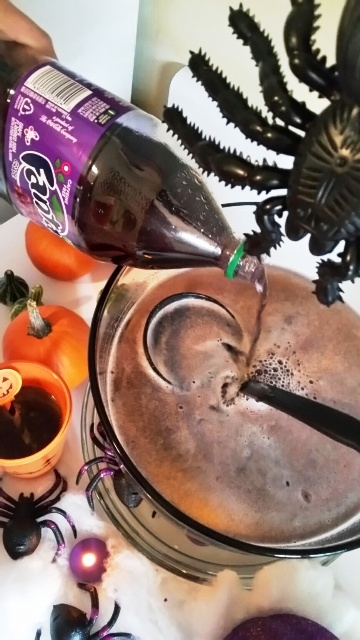 Click here for coupon: Family Dollar Halloween Purple Pumpkin Eater Punch Pour a couple Tablespoons of Jello Powder to make the punch bubbly and fizzy like a Halloween Cauldron right into the punch bowl or glass! Boil, boil Toil and Trouble!! So yummy and fun for Halloween Wicked Good Fun! 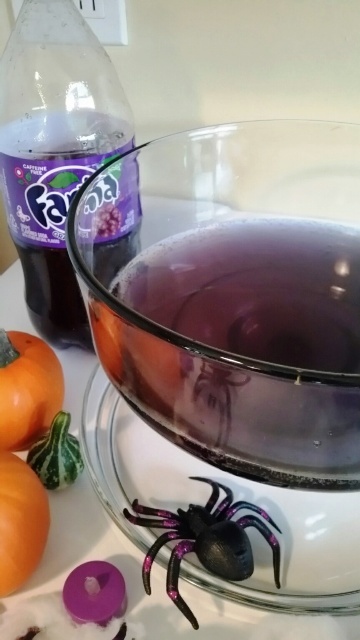 Serve this yummy punch in your favorite Halloween glasses. 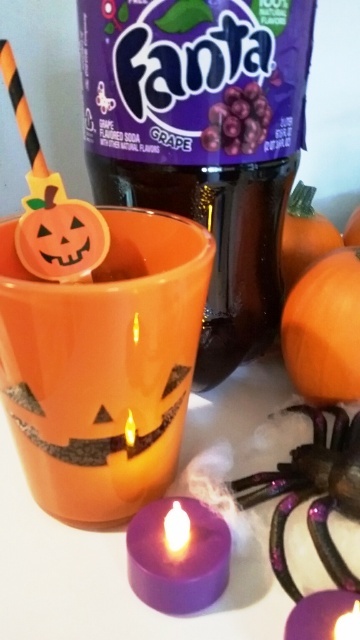 Serve with fun Halloween straws! 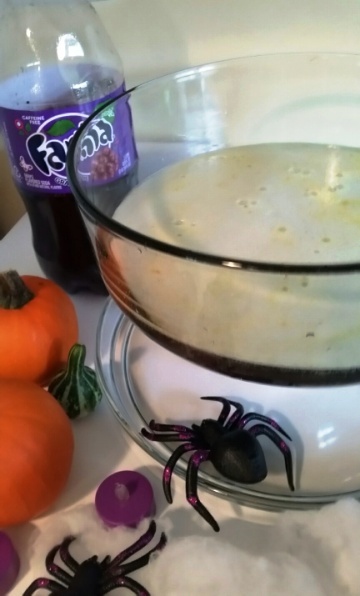 Purple Pumpkin Eater and Halloween Spiders trying to get into the punch! 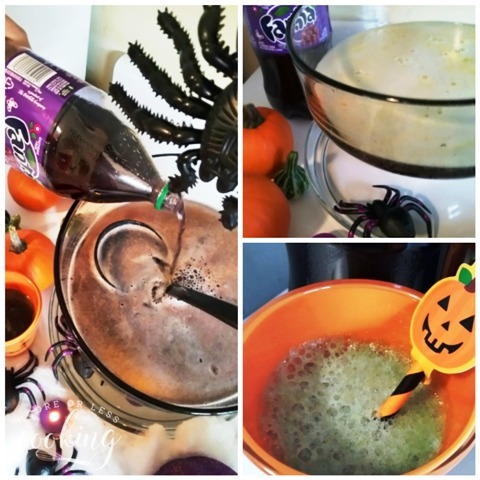 Watch this Halloween Purple Pumpkin Eater Punch bubble up like a creepy boiling cauldron! 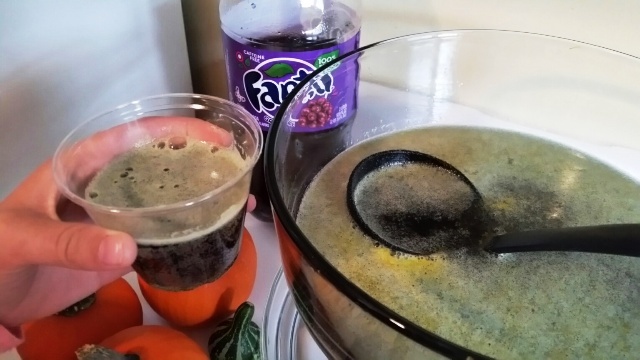 Create this delicious punch with Fanta® Grape Soda, Lemon-Lime Soda and lemonade punch. It will be a hit at your next Halloween party! To an 8 oz. cup, add ⅛ cup lemonade and then ⅛ cup Fanta® grape soda. Combine ¾ cup lemon-lime soda to the lemonade and Fanta Grape Soda. 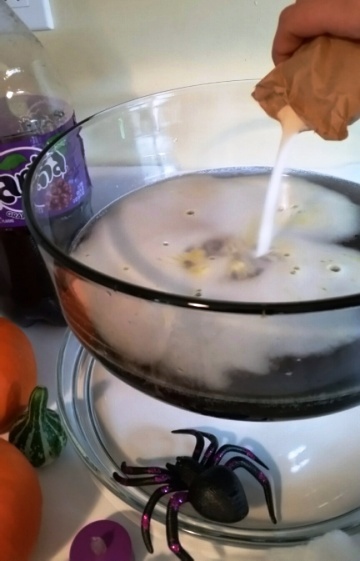 Add one teaspoon grape JELL-O powder and watch the punch bubble up! 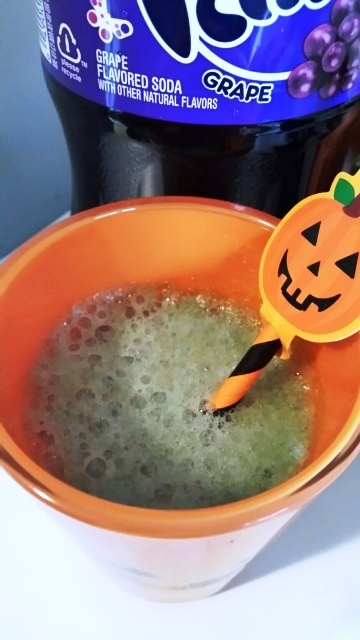 Also, make punch in a punch bowl, just double up the ingredients and add more lemon lime soda and jello powder to each cup when serving so that bubbled form! What treats do you like to serve at your Halloween Party?